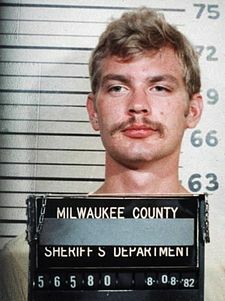 Jeffrey Dahmer was a notorious mass murderer who killed seventeen young men, ate them, and stored various body parts in his refrigerator. The police ended up finding eleven corpses in his apartment. What kind of thinking leads to this type of behavior? During an interview with MSNBC Dahmer explained: “I always believed the lie that evolution is truth, that we all just came from the slime and when we died, that was it, there is nothing. The whole theory cheapens life.” In other words, there was no accountability; he could do whatever he wanted. Dahmer didn’t start out right away murdering people. He out started with small crimes and experimented with being cruel to animals, and it continued from there. After all, with an evolutionary mindset, it’s survival of the fittest; no one cares. That must be a comforting thought, especially since our public school systems and college institutions teach this as truth. “I started reading books about how evolution is a complete lie. There’s no basis in science to uphold it. And I’ve since come to believe that the Lord Jesus Christ is the true Creator of the heavens and the earth; it didn’t just happen. And I’ve accepted him as my Lord and Savior, and I believe that I, and everyone else, will be accountable to him. 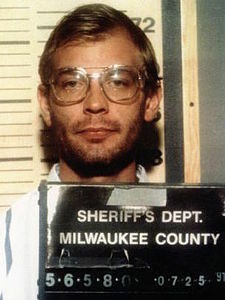 Yes, in every one of us lies a little Jeffrey Dahmer. But there’s always hope. When one turns to Jesus Christ in trust and repentance, believing in his death, burial and resurrection, God will forgive your sin. God will change your heart and will change your life. Why wait? Today you can be a new creation! Dahmer was murdered in 1994 by a fellow inmate, beaten to death with a broom handle. This post of yours puts me in a strange position, I really enjoy what you have written but don’t really agree with most of it. 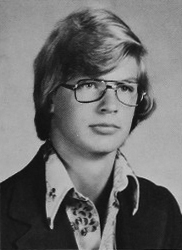 While a fascinating character, Dahmer was insane, his opinion on evolution were intended as a justification for his insanity, they niether reflect the opinions of sane people who understand science nor are they a logical conclusion that would be reached by a sane person even one who understands biology. To a sane person it is clear that the theory of evolution is descriptive not prescriptive. It describes what happens, it does not tell anyone how to live their lives. Many who understand biology are also religious, many of these are Christian. They derive morality from the religion they practice, their understanding of evolutionary biology is not relevant to their faith, my best friend is one such person, a devoted Christian and elder in his church who also has an education in biology and believes the theory of evolution is the best scientific explanation for the diversity of life. When asked how it relates to his Religion he simply states that it is irrelevant. He says “Jesus said to believe on him, not to believe on a literal reading of the book of Genesis or to make an idol out of the Bible. If evolution is part of God’s plan for creation I will find out in heaven, if it is not I will find that out in heaven. Until then it works for science and since it works we should use it. My salvation rests only on the grace of Christ not scientific theories.” I find his position respectable, smart and hard to argue with. Others who understand biology, like myself are non believers yet still do not base our morality or ethics on the theory of evolution. My morality derives in part from my upbringing and in part from my study of philosophy but the theory of evolution has no part in it. The theory of evolution is just science. Also since Dahmer is insane his belief in Christianity is not much of an endorsement, it is entirely possible he simply believes it now just because he is insane. Not that belief in Christianity means one is insane, it doesn’t, but the beliefs of insane people like Dahmer aren’t credible simply because insane people believe them. Thanks Ryk. While I do stand by the accountability part of believing in God, (and hence, lack of accountability without one), I appreciate your take. As for your friend, he’s mostly correct. He is saved by the grace of Christ, but his lack of belief in the book of Genesis leaves me to think what other books he doesn’t believe, and if he picks and chooses what to believe in the Bible, what does that say about his belief in Christ? It is not that he lacks belief in the book of Genesis, rather he believes it is spiritual truth rather than a scientific textbook. He believes the book of Genesis is God explaining to man that the evils in the world are due to man’s disobedience. My friend feels the same way about the flood, Sodom, Ballams donkey and many other parts of the Bible. That they are spiritual truths not literal events. Ryk, By the way, how do you like the new website design? It is nice, and very user friendly :). I’m looking forward to future posts. I would add the death of Christ is just literal to then to show us a spiritual truth. I am sorry, but I meant to say with that logic then the death, burial, and resurrection of Christ is just figurative to then as the rest of the events in scripture just to tell us how to live in this life.